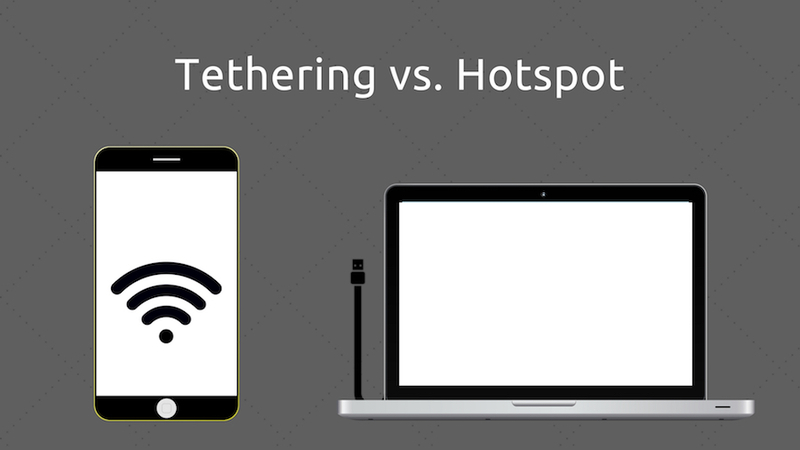 Tethering vs. Hotspot: Differences Between Tethering And Portable Hotspot; Which One Is Secure? Difference Between Tethering & Hotspot: Which One Is More Secure? 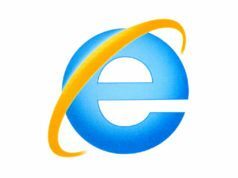 The evolution of the Internet has triggered massive enhancement in the abilities of humankind to exchange information around the globe. It is a service in itself, and it provides access to many other services. We can access the Internet using different technologies including satellites, cable, telephone wires, wireless or mobile connections. Tethering and Hotspots are two different means of connections, among many others, which we can use while we require connection to the internet. Tethering is the act of accessing the Internet on a computer or device through another computer or mobile phone with cellular network capability. Tethering refers to sharing of internet connectivity between devices. It can be done over wireless LAN (Wi-Fi), Bluetooth or by physical connection using a cable, for example through USB. Hotspots are wireless access point providing Internet access to devices like computers or smartphones, typically in public locations. It refers to a region where internet connectivity is available and extends to about 30 meters from the device serving hotspot. Devices such as routers, smartphones and also computers act as Wi-Fi hotspots. Mobile hotspots (a.k.a, portable Wi-Fi hotspots), lets you share your internet connections with up to 5 other devices. Such devices maybe cell phones, tablets, or personal computers. Tethering via wired connection is undoubtedly more secure as both the devices are connected through short cables. Connections via hotspot can be intercepted using software such as Wifi sniffers. It is highly recommended to set strong passwords and to use advanced security protocols like WPA2. Tools designed for brute force attacks can easily break into networks that use weak encryption standards like WEP or WPA. Connecting to public Wifi hotspots is not secure. Just because a hotspot requires a password to connect does not necessarily mean it is secure. Your online traffic may be monitored elsewhere. Also, there is the risk of leaking sensitive information such as your login credentials or credit card numbers. Also read: Is Your WiFi Router Vulnerable To Hackers? How to Check? Users mostly prefer hotspot over wired tethering, and it has gained widespread usage because almost everything has Wi-Fi built-in nowadays. Wi-Fi hotspots seem more convenient as using the portable Wi-Fi hotspots feature does not require you to have an application installed on your computer or other devices. Moreover, you get simultaneous Wi-Fi internet access for several devices. Whereas, you may require some external software or device drivers for tethering. However, Tethering is relatively cheaper and consumes less battery compared to portable hotspots. Using your phone as Wi-Fi hotspots is pretty simple; you just need to turn the feature On. A Wi-Fi access point will appear just like a regular wireless access point that your other devices can connect to. 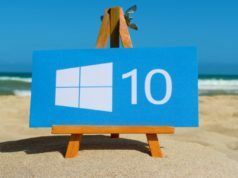 It is easy to set up even in Windows 10. Some mobile network operators restrict the usage of tethering or hotspots and users can only activate it by opting for a data plan that includes tethering. Unlimited data plans generally have these restrictions. This is done because the operators are concerned about the considerable amount of increase in data usage that results from sharing internet. Did this article help you to develop a clear idea of tethering vs. hotspot? Share your views in the comments below. Also Read: Wi-Fi vs Ethernet: Which Internet Connection Is Better And Why?